Welcome to the third installment of MAKE IT MONDAY! Luke and I were traveling this weekend to a wedding so we knew our Make it Monday would have to be something that didn’t absorb much time. We’re always looking to try something new and expand our creative outlet so when my sister suggested a glass blowing class we jumped at the chance! 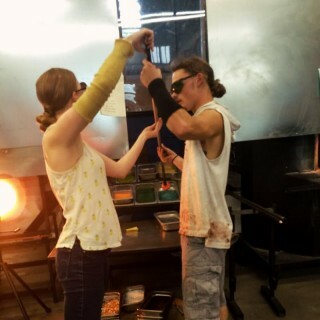 We signed up for a one hour glass blowing class at Luke Adams Glass Blowing Studio in Norwood, MA. 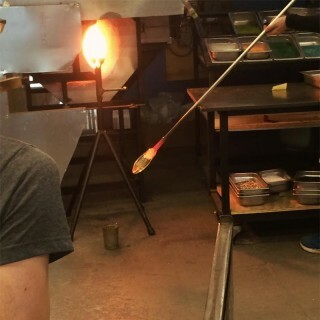 The heated metal blowpipe gets dipped into the molten glass furnace. 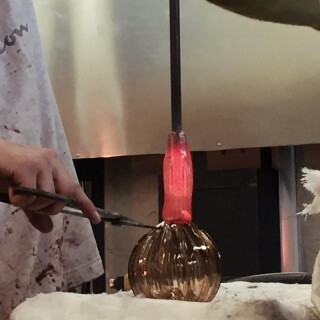 You get a glob on the end of the pipe and gently roll it in order to create an even shaped round ball. We dipped our molten glass blob into trays of powdered color with the texture of sand. Brian (the expert) placed the molten glass in a mold that would create the veins of the pumpkin. Sitting on a bench, we rolled the pipe back and forth while a partner blew soft and steady into it. 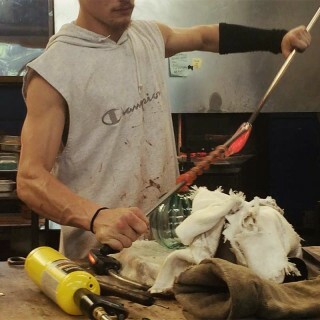 Blowing up the glass like a balloon. Using a giant tweezer-type tool called a jack we pinched the top of our pumpkin creating the area where the stem would eventually end up. 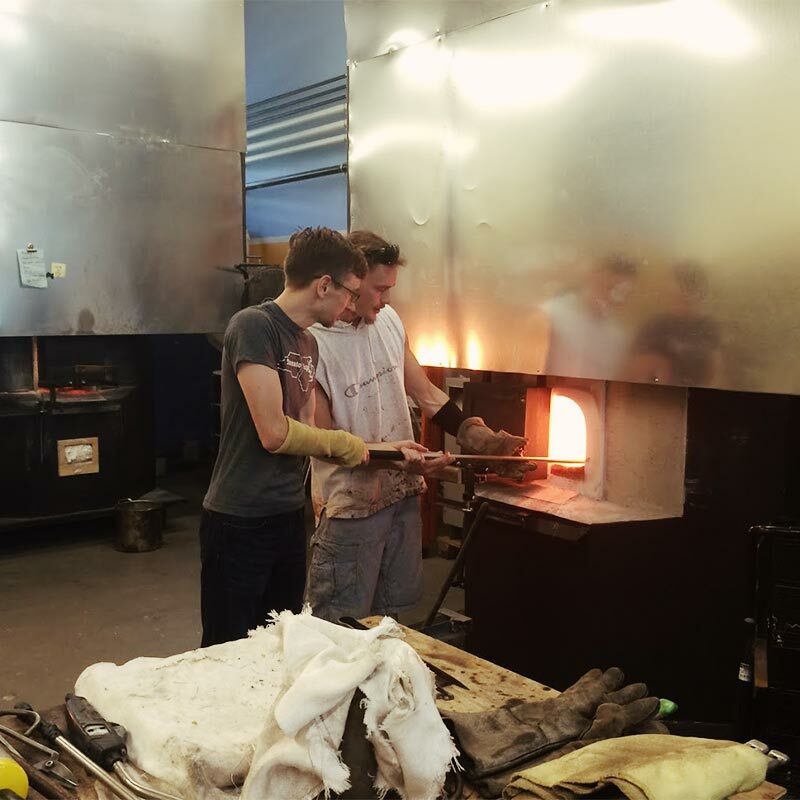 Our pumpkins were put into a furnace which controls the cooling down process (annealing) so the projects don't shatter (ours will be cooled and ready for pick up in two days). Glass blowing — why not? Who doesn’t want to try something new once in a while? My father and sister had already taken a class and kept telling us how much we would enjoy it. Turns out they were right! 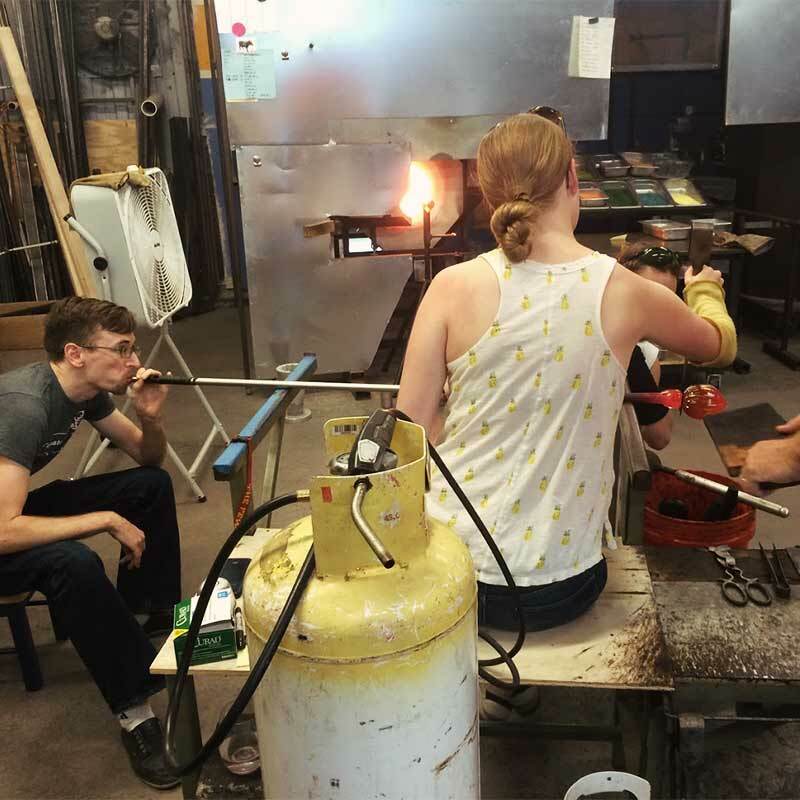 Glass blowing—like metal work or woodworking—falls under that artisan skill umbrella that we are not that familiar with. It is not something that we have easy access to everyday. It has a timelessness that I think most people take for granted. You just drink from the wine glass—you don’t think about what went into making it. There are a lot of moving parts that go into glass blowing. You can tell it takes hours and hours to really get a feel for it, and probably even longer to become an expert. I kept being reminded of ceramics—how the molding and shaping of clay becomes easier over time. 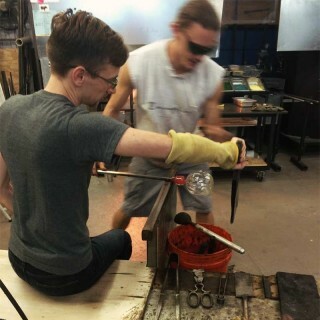 But there is so much about glass blowing that remains a mystery! Since our class was only an hour we didn’t get the full history or all the details about the process and technique. Brian gave us just enough info about what we were doing to keep it interesting and keep us safe. It definitely piqued my curiosity and interest to find out more. I would recommend a class to anyone! 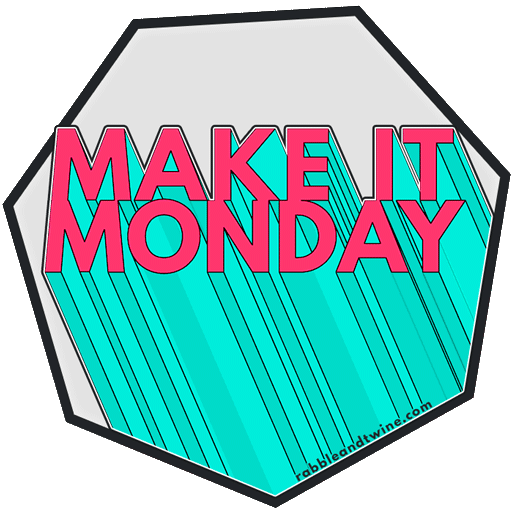 Did you join us for Make It Monday this week? Show us what you made! 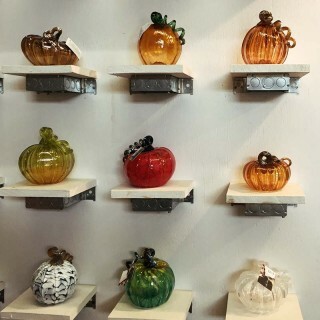 Anyone out there into glass blowing?